He is winnowing barley on the threshing floor tonight (Ruth 3:2). After the necessary task of crushing barley ears, it was common for workers to return to the threshing floor in the evening to winnow. This process required a favorable wind, one that wasn’t too strong or too weak. The crushed grain would be thrown into the air, allowing the lighter impurities to be blown away while leaving the heavier barley kernels to be gathered. 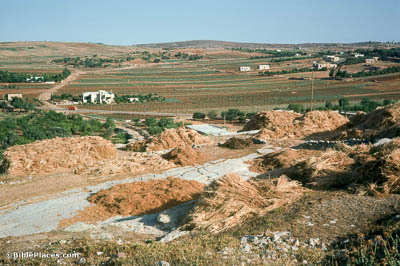 This threshing floor in Gibeon has piles of wheat waiting to be processed. So she went down to the threshing floor (Ruth 3:6). 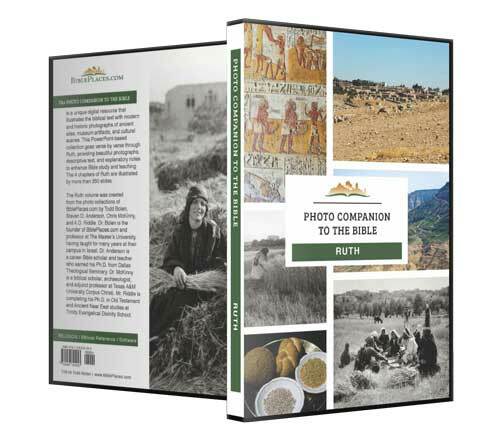 If the practice regarding threshing floors in Boaz’s day was anything like that of more modern practice, the same spot would have been used by all of Bethlehem’s farmers. 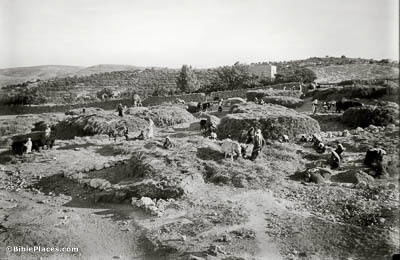 At harvest time, then, the place would have been full of people threshing and winnowing their crop. Boaz likely wasn’t the only one working that night, which helps to explain Ruth’s stealthy entrance and exit. So she went down to the threshing floor (Ruth 3:6). Over the millennia, a great assortment of forks, trays, shovels, and other tools have been developed for the purpose of winnowing grain. 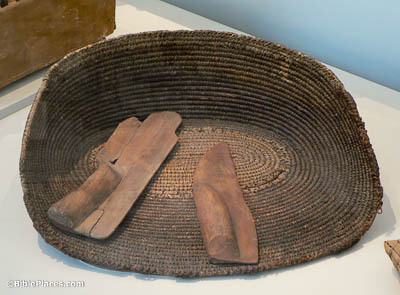 These Egyptian winnowing shovels are roughly contemporary to the time of Boaz, making them a good indication of what sort of tool Boaz might have used. It is true that I am a near kinsman, however, there is a kinsman nearer than I (Ruth 3:12). The practice of kinsman redemption mentioned here is rooted in Leviticus 25:25. In it, God says that if someone is forced to sell their property because of financial hardship, his nearest relative is obligated to redeem it on his behalf. 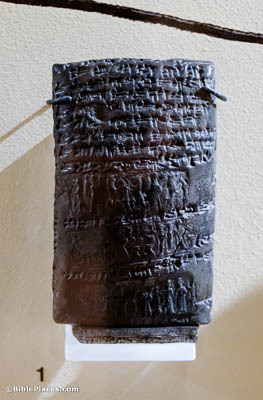 Similar customs were already practiced in the Near East during earlier centuries, as evidenced by this tablet. It records the seller of some land “adopting” the buyer in order to keep said property in the family. 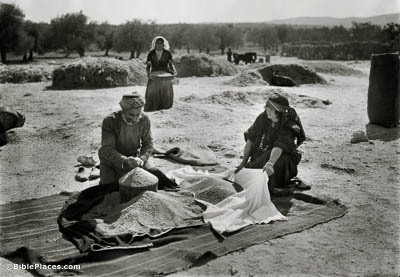 And he said, “Bring the shawl that is on you and hold it out.” So she held it out, and he measured six measures of barley and put them on it (Ruth 3:15). Here, the author chose not to mention what “measure” Boaz used while pouring out the barley. If he gave Ruth six ephahs, that would amount to 180 or 300 pounds, way too much for Ruth to realistically carry. Alternatively he could have been using omers, which would leave Ruth with somewhere between 18 and 30 pounds of barley—which would be a kind token, but a little underwhelming in comparison to Boaz’s earlier gifts. The seah is a third possibility, six of which would be roughly 60 or 100 pounds.